Is your dryer venting properly? 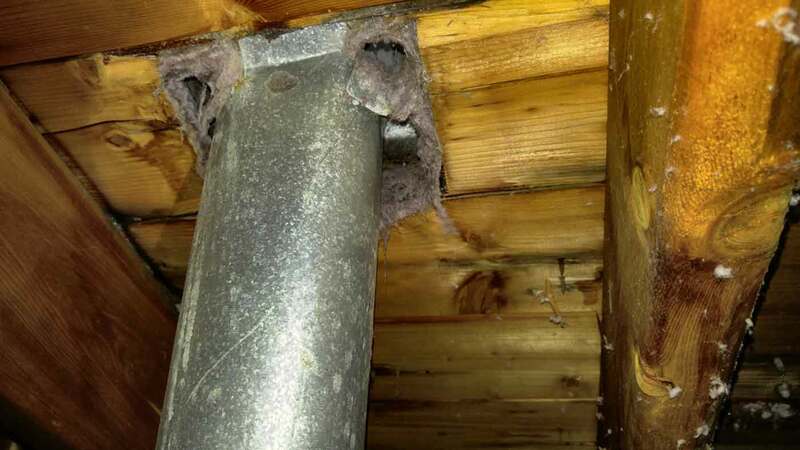 Everyday, we get calls from customers who are having problems with their dryer vent. There can be many reasons your dryer is not venting correctly, and this can lead to a number of different problems. 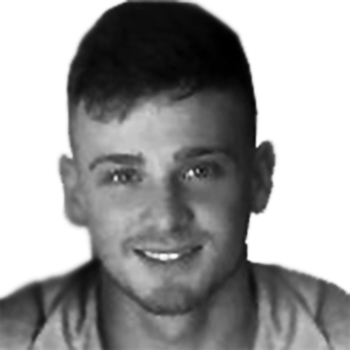 Ranging from water damage and mold to dryer malfunctions or even fires. Having your dryer vent inspected and cleaning by qualified professionals is a must. Today we ran into a problem where the dryer vent line was running through the attic and was connected improperly. 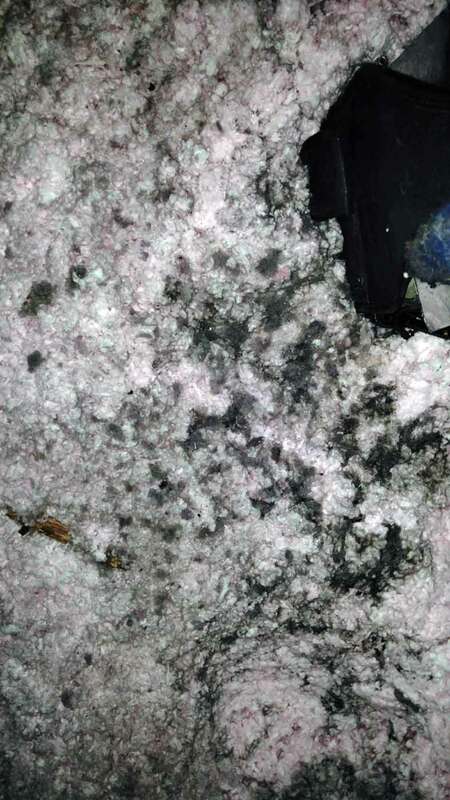 The snow on top of the roof was completely covering the dryer vent cover which was causing the dryer lint and exhaust to blow back into the attic. As you can see there was a significant amount of lint and moisture in the attic. On top of this issue, on closer inspection we noticed the soffit of the house was completely covered in blown insulation. This is combination with the exhaust from the dryer caused the attic to become very humid and warm. 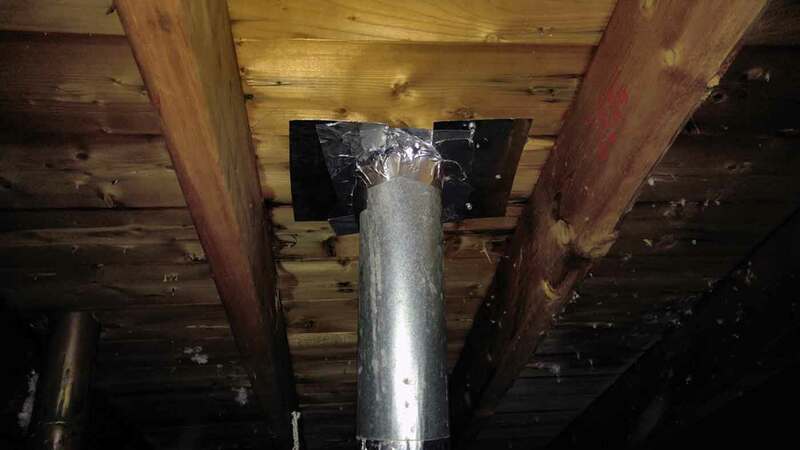 We took care of this problem by clearing the snow from around the vent cover on the roof and reattaching the duct work securely to the attic ceiling using two metal plates and some aluminum tape. 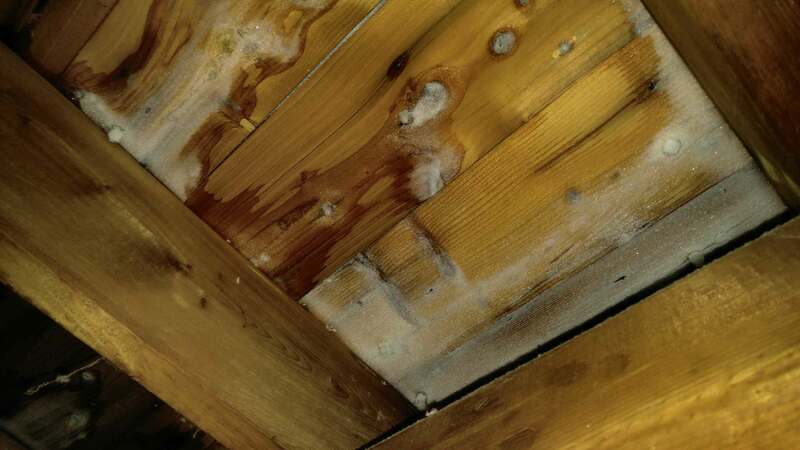 We informed the Owner of the issue with the soffit and the condensation. Your dryer feels unusually hot to the touch. You clothes are taking longer than 1 cycle to dry. You see moisture or condensation around your dryer unit. You do not see exhaust or the cover or flaps opening on the outside of your home when your run your dryer. You can smell the exhaust from your dryer in your home.